David Croft is the acclaimed commentator and presenter for Sky Sports F1 HD channel. He is widely regarded as an outstanding commentating talent famed for the passion and enthusiasm that he brings to every event he covers. 2018 marks Crofty’s 13th season behind the mic commentating on Formula 1. Prior to 2012 David was the F1 correspondent and commentator for BBC Radio 5-Live for 6 years. 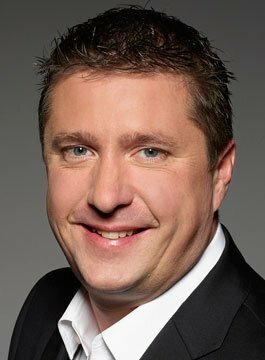 Away from F1, David Croft is also well known for his BBC TV commentary at the legendary World Darts Championships at the Lakeside, which he covered from 2002 to 2012. He is also a respected boxing commentator having covered some major fights including Joe Calzaghe’s final fight against Roy Jones Jnr at Madison Square Garden. Recently he has presented Live Darts for Sky Sports from the Premier League and PDC World Darts Championship. David Croft is a highly entertaining host who has compered many international events for globally recognised brands and is an ideal choice when a ‘safe pair of hands’ is required for any live event.